“You try to prevent a bunch of fables from killing each other,” our protagonist. Bigby Wolf, exclaims, under a great deal of duress from a night of preventing the Woodsman from killing someone. He’s had his work cut out for him that night as Sheriff of Fabletown, a section of New York populated by fairy tale creatures. Additionally, being the Big Bad Wolf in another life, he must be feared to prevent this community from dying. That is, until a mysterious killing is afoot and it’s up to Bigby to solve the mystery in Telltale’s The Wolf Among Us. This game is set years before the original comic so if you have no base or frame of reference, you can easily jump into the story. Bigby Wolf must keep this town in check, as that’s his duty as Sheriff of Fabletown. When someone commits a crime or doesn’t look human in this world, you have to answer to Bigby. But as soon as a killer is on the loose, Bigby must rise to the occasion to figure out this threat. If you’ve played The Walking Dead, you’ll feel right at home with Wolf Among Us. Bigby controls similarly to Lee and you’ll be examining objects, making remarks about the environment, and making difficult choices. In some instances, you’ll come to a similar conclusion even with different choices. For example, depending on what you choose, you can figure out different theories for the killer’s motive. Of course, the choices are not as life or death or grim as they are here but you will be biting your fingers when you make them and unsure of yourself if you made the right choice. Telltale has been hammering home about how it’s not what choices you make but when you make them. There’s a pivotal scene where you can either handle a dilemma that’s presented more immediately or follow a lead from a clue you found. Choices like these will have your mind going in circles wondering if you made the right choice or not. This might make multiple playthroughs essential if you want to find out all the story beats. The action sequences are still working with Walking Dead’s foundations. You’ll be pressing the button at the correct moment or tapping it heavily to get out of a hold. There’s more usage of the right analog stick and moving it in a circle in combination with the triggers. While there weren’t too many problems with it, sometimes they’re so quick it’s hard to even register the prompt and make out what trigger you need to hit. Another glaring issue that might plague Xbox 360 owners is the load times. The graphical tearing found in the previous title is unnoticeable but the load times will have you waiting a good 30 seconds between scenarios. Even a brief moment just before a tense action sequence, you’ll see Bigby paused motionless. This problem might not be as prevalent for PC users but console owners should be wary of the almost too frequent load times. By the end of Wolf Among Us Episode 1, Telltale has once again, achieved a great formula of narrative and gameplay. It’s more detective noir than Walking Dead’s survive amongst all odds, yet you will still be deeply intrigued to know who’s causing these murders. It’s hard to even think about the wait for Episode 2 but if Faith is any indication, Telltale will certainly deliver. 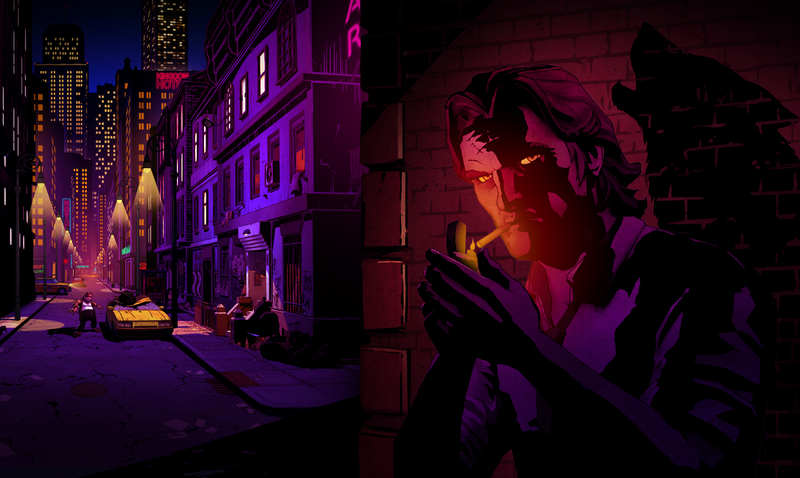 The Wolf Among Us Episode 1 – Faith was developed and published by Telltale. A copy was bought by the reviewer for review purposes.